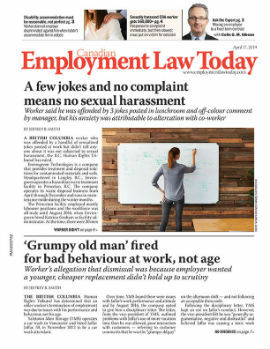 A Nova Scotia company’s warning that a part-time worker should look for more work didn’t constitute notice of a dismissal that happened six weeks later, the Nova Scotia Small Claims Court has ruled. Perry Costa, 54, was an AutoCAD operator and electrical layout technician for Electec Engineering and Design Incorporated, a professional engineering company in Lower Sackville, N.S. Costa was hired in December 2006 and he didn’t have any issues with his performance or any misconduct. His job involved implementing lighting and electrical design into architectural and drafting designs created in AutoCAD, a computer-assisted drawing program.